Slack rolling out voice calls beta to its desktop messaging platformSlack has begun testing voice chat just a day after announcing the feature would be coming soon. Available in beta, the feature is currently only being tested on desktop in Slack's apps and in Chrome. Slack's new desktop beta app is lightning fast and available nowIf you're like anyone at TNW, you're probably using Slack every day, all day long. I don't mind; it's a well designed app. But their newly released beta is bringing it to another level. Would you recommend Slack Beta to a friend? While I'm satisfied with everything, the quality of communication, better than in Skype. Алексей Порубай has used this product for one month. 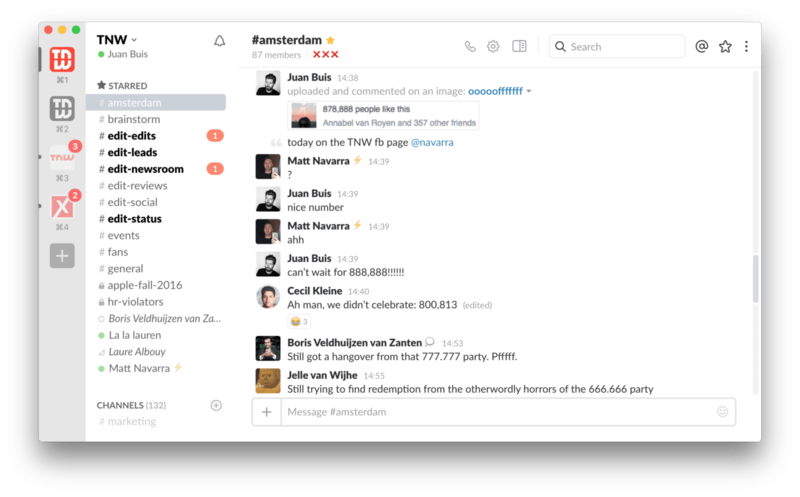 It's better than the previous app, but I still think Slack deserves a fully native Mac app. This Electron app is 175MB once installed and uses A LOT of memory. @_inside Agreed, PLEASE make a real native app! @_inside Agreed here - this is the biggest pain point for me after switching from HipChat (which is super _duper_ speedy switching between rooms/channels). @_inside Totally agree with you. Electron is a great way to provide a "native" Mac App fast, but I by myself enjoy the fully native Apps way more! Better performance and memory management. Also it just looks nicer in the macOS ecosystem. @nivo0o0 @thenextweb For the record, Electron is a web app wrapper just like MacGap. MacGap is just a dead project whereas Electron has a lively community and ongoing updates. @bentossell @slackhq The "All unreads" feature is available in all builds, wether it is beta or stable. @dafonso @bentossell you could also just shift + Esc. Been working for some time. @dafonso @slackhq you can't at the moment, but submit some /feedback saying you want it. Power in numbers! @dafonso @slackhq Maybe join more teams? I always join teams with what I use.